A recent video promoting a mission is currently being promoted by the Land of Israel Network. Money is being requested for the funding of this project with the added bonus that if they collect $50,000 dollars, this amount will be matched so that in total $100,000 will go towards a new studio, a guest house complex and a Yeshiva for Jews and non-Jews. To date we already have a record of collusion between the Land of Israel Network and Ha Yovel ministries since 2004 but currently marketed as a new venture according to the HaYovel website, so an alarm bell is already sounding. But the big question is who is matching the funding? 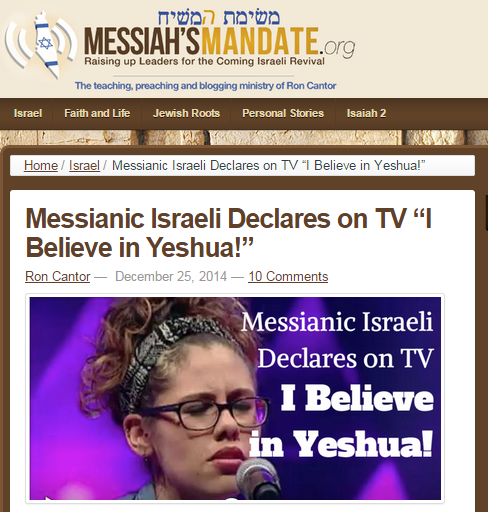 “Be a Part of the mission to Broadcast The Torah from Zion & Truth from Jerusalem! Here at GLC it’s our constant prayer that through our teachings Christians will gain a much-needed, Scriptural perspective of the Land of Israel. It’s not just the historical land of the Jews, it’s the prophetic land of our Messiah! We’re so excited to share with you this amazing announcement from the hosts of Israel Inspired, Rabbis Ari Abramowitz and Jeremy Gimpel. They’ve taken a huge leap of faith! Please watch the short video and join with them in this historic mission… in the heartland of Biblical Israel! GLC and HaYovel are Christian organizations who want to convert Jews to Jesus/ Yeshua as well as secure for themselves property and citizenship status for themselves in Israel. It does not take a genius to see who are doing the partnering and the matching of funds for this joint venture in spiritual and physical genocide of the Jewish people right here in the land of Israel! (1.) Aviv Judea Messianic Cong. It’s bad enough that our leaders refuse to protect the Jewish nation from the genocidal Arabs. Equally grotesque is the reality that the same Israeli leadership allows Christian evangelicals/missionaries to run rampant in Eretz Yisrael, because the Likud desires the cash flow of such undesirables. Yet worst of all in this scandal, is the pernicious role that religious Jews have in selling out the Jewish nation. All for the attraction of free gentile labor in Samaria. The portrait is perverse. Brother has sold brother’s soul for cash. 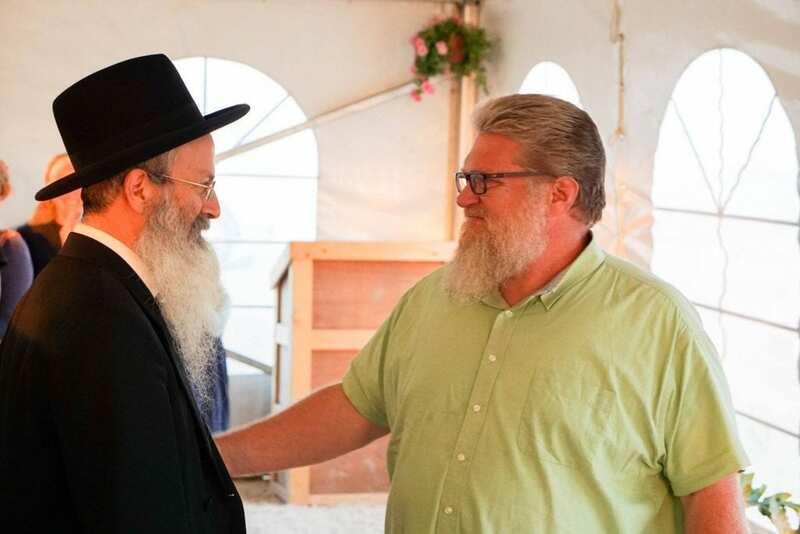 Of late, Jewish supporters of evangelical aid have embarked on a campaign to gain rabbinic approval for Tommy Waller’s Hayovel Ministry. Naturally, when they introduce Waller to these rabbonim, they present a doctored history to make him look kosher. Baruch Hashem, the tide is turning. Anti-missionary experts are meeting with some of these rabbis and providing the evidence that was withheld from them. Many rabbonim are now seeing the problem in the right light for the first time, and they are outraged by this deception. With G-d’s help the true nature of “Brother Esau’s” intent will soon become widely known. Yet for this to happen, it is critical that Torah committed Jews follow up with concrete actions, by apprising their local rabbis and community leaders of this terrible spiritual onslaught, and demanding action. Apathy and laziness are the villains. This cannot be left to the “experts” who are already up to their necks trying to sound the alarm. The message must get out! Fallacy #1: He prefaces his article by noting that Christians are “assisting” Jews. My Response: Assistance? I categorically reject this term. If one economically “assists” Jewish farmers with free labor, but endangers them spiritually by planting roots in Eretz Yisrael, co-opting our exclusive heritage as part of a new “shared heritage” and by bringing the evangelical belief of “restoration” to Jews, no Torah Jew could honestly argue that this is assistance. One would have to ignore the evidence, including Tommy Waller’s own infamous words about bringing “this Jesus that we know” to Jews, to reach such a conclusion. I don’t see how this qualifies as assistance. “In modern times, we have witnessed increased support for Israel among evangelical Christians…They see with their own eyes how the Jewish people is returning to its land after its awful, two-thousand-year-long exile, and is creating a prosperous country. They see new settlements and vineyards flowering in the very areas described by the Bible, and they are excited by our miraculous return to Zion. They are overwhelmed by the fulfillment of the ancient prophecies of the prophets of Israel… “Christians fulfilling the prophecy of Isaiah,” September 18, 2013. “Moreover concerning the stranger that is not of Thy people Israel, when he shall come out of a far country for Thy name’s sake– for they shall hear of Thy great name, and of Thy mighty hand, and of Thine outstretched arm–when he shall come and pray toward this house; hear Thou in heaven Thy dwelling-place, and do according to all that the stranger called to Thee for; that all the peoples of the earth may know Thy name, to fear Thee, as doth Thy people Israel, and that they may know that Thy name is called upon this house which I have built.” (I Kings 8:41-43). My response: The fact that “help is being expressed” among high government officials and entities isn’t surprising, nor should it be seen as a positive development. What can I say? They are sick. In the past, Israeli governments armed and funded Fatah. Today our own government perpetuates the insane path of Oslo, hardly role models for sane behavior. Regarding the evangelical threat, naturally, there are individuals in governments abroad and at home who desire evangelical aid. 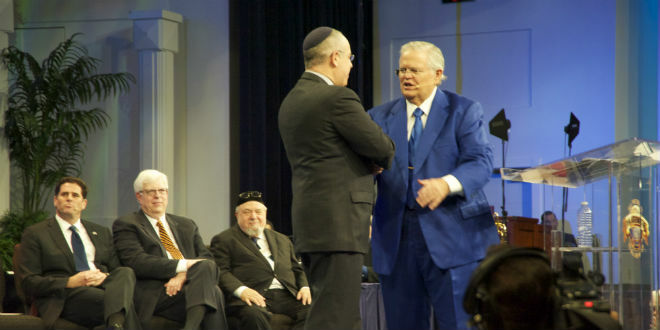 The Likud’s Danny Dannon has a vested interest in a close relationship with evangelicals. Netanyahu cultivates and praises the relationship with CUFI (Christians United for Israel) because he has a bankrupt notion of Judaism’s spiritual mission and because they give Israel ridiculous sums of money. When you consider his track record it makes sense. Our Prime Minister refuses to protect the Jewish body, so why should the ephemeral, perplexing “Jewish soul” concern him, when billions of tangible dollars are at stake? A theme threads throughout the many convoluted attempts to justify working with evangelicals by citing biblical verses and forcing interpretations into the text. It relates to the fundamental Torah understanding of the Written Law through the Oral Law’s interpretation, a fundamental tenet that every Torah Jew believes; since so many concepts in TaNaCh are literally devoid of information in the absence of our divine Oral Code. We could not keep Shabbat or perform ritual shechitah without the Oral Law.Words can often not be defined without the code of the Oral Law.Examples:“An eye for an eye.” The numerous uses of the term “ger” that can be found in the Torah and a host of other Hebrew verses/terms that cannot be understood without the Oral Law. The Oral Law explains that while there is a philosophical notion of “an eye for an eye” relating to general justice, from a halachic perspective, we Jews never popped out an eye as punishment for the loss of one. Torah committed Jews adhere to the Written and Oral Law. The use of one without the other is foreign to fundamental Torah concepts. Verses and concepts from Tanach without the articulation of the Oral Law, cannot explain the cryptic words of the prophets. This is precisely the tactics missionaries use to convert Jews. The Jewish Moshiach will not come by misreading Jewish texts and applying them to those who don’t satisfy the criteria, nor will it actualize itself by such hostile groups strengthening their own skewed beliefs rather than drawing closer to Hashem. In short, the verses he cites from I Kings 8:41-43 were clearly NOT referring to evangelicals who call out in the name of Jesus! Nor can the verses of Isaiah 61: 1-5 where the “strangers” stand and pasture our flocks, and “aliens” act as our plowmen and vine-trimmers refer to evangelical missionaries who believe they are witnesses to the “Second Coming.” Ironically, the next verse (verse 6) concludes by noting that “you shall enjoy the wealth of nations And revel in their riches.” It is hard to accept that this prophecy has materialized when most hard-working middle class Israelis struggle each month just to stay out of the “red.” Not to mention the undignified behavior of the State of Israel who grovels before the United States for foreign aid. Finally, the quoting of Zechariah 8:20-22 as another proof text to equate the nation which will come to Jerusalem to pray to Hashem is clearly not referring to those who continue to worship and believe in their role as witnesses to “that man.” The classical Jewish commentators agree that those who come to Jerusalem are motivated by truth and to learn from Am Yisrael about the One true G-d.
Critical Point #1: The “foreigner” of the Torah (whoever he may be) is not a missionary! Critical Point #2: The “foreigner” desires to come closer to Hashem! The desire to see halachically prohibited evangelical volunteerism as proof of the fulfillment of biblical prophecies is not only a distortion of holy texts but a form of false messianism. Please refer to the article “Jumping The Geula Gun”, from Jewish Israel’s Rabbi Sholom Gold, for an articulate formulation of the spiritual dangers inherent in such actions. Throughout Jewish history, the end result of unrestrained zealous messianic fervor is that Jewish neshamos are endangered. In a perverse irony, Jews have adopted the same distortions of our Torah that missionaries use. They have become masters of evangelical language and ideology. While they claim that no one has yet been proselytized, they are Exhibit A of the kind of effect evangelicals have had on them! The Rambam is clear about which gentiles may reside in Eretz Yisrael. Assuming that the situation is one where Jews fit the criteria as being stronger than the gentiles, only those gentiles who meet the following criteria can reside in the land: a) adherence of the 7 Noachide law b) acceptance of “tribute and servitude” c) obtaining the status of ger toshav (resident stranger) in front of a Jewish court during a time of yovel (jubilee). “All the above is only applicable when we are in exile or among the nations.pr when the nations are mightier than Israel, but when Israel is mightier than they, we are forbidden to leave non-Jews among us. Even for a non-Jew to live temporarily in Eretz Yisrael or just to pass through on business is forbidden unless he undertakes the seven Noachide Laws……And if he undertakes them he is a ger toshav (resident stranger). We do not accept a ger toshav except when the Jubilee year is operative. At other times, we accept only real converts.” (Hilchot Avodah Zara V’chukot Hagoyim) “Uncensored Versions” of the Rambam. The Rambam adds that they must also accept “tribute and servitude.” One without the other is insufficient. Other commentators who agreed: Sifri, Redak, and Sefer Hachinuch. The Ra’avad takes a lenient position, although he essentially agrees with the Rambam that we don’t accept resident strangers today. He parts ways from the Rambam regarding non-idolatrous foreigners residing in the land. Even in the absence of accepting the Laws of Noah in the presence of a court of Israel, the Ra’avad would permit their presence. Regardless of how one defines “resident stranger,” Hayovel’s Ministry clearly doesn’t meet the criteria. Nor do the“nochri” or “foreigner” of prophetic verses refer to missionaries. They are not calling out in the name of Hashem. They are calling out in the name of another. Fallacy # 3: The justification that working with evangelicals is the equivalent of teaching gentiles the truths of yahadut.An oft mentioned sentiment. On the contrary, evangelicals are bringing their beliefs to Israel and planting them in Jewish camps. Furthermore, when they go on field trips across Eretz Yisroel,Hayovel’s own guides are notorious missionaries. So not only are they adversely affecting Jews spiritually, they are also cultivating their own ideological beliefs. The argument that they are being brought closer to Hashem is false. We must come to fully understand that the following of Yeshua is the only true and proper extension of Israel spiritually, fulfilled through His life, sacrifice and resurrection, and that Christianity is Jewish. As hard as this maybe for Jewish people and even Christians to understand, if they do not accept Messiah, they like everyone else remain under the curse of sin; that current Judaism whether religious or reformed has no hope for Israel spiritually, except to keep them until their appointed time of awakening, which we know must come before Yeshua returns to us…God is not finished with Israel who must come into an awakening and that along with the church, Israel’s priesthood will be re-established when Yeshua returns. My Response: If by redemption, he means the coming of the true Jewish Mashiach (a man and not a pagan human deity! ), then nothing can be further from truth. Rather than bringing the knowledge of the One true G-d to the world, those who assist Hayovel are endangering Am Yisrael. The ramifications will Heaven Forbid see the tenets of evangelical Christianity make their way into religious Jewish communities. Evangelicals in Hayovel have already adopted the dress, language, and clothing – even tzitzit for men and mitpachot (hair coverings) for women – of their religious neighbors. They engage in Jewish prayers at the crack of dawn, and say the Almighty’s name, even as they remain completely committed to bringing Jesus into the camp of Am Yisrael. And for those who would argue that Waller and his Hayovel Ministry have undertaken t’shuva, the following video from Hayovel Representative Luke Hilton exposes this. Mind you, this is not from a minor player, but from a prominent personality in the movement. They believe they are witnesses for Jesus. It is interesting to note, and very telling, that Hayovel quickly pulled this video from their site. It was more akin to their earlier videos in the past when they were still getting started. In other words, they screwed up. Fortunately, we have the video as yet another proof that they are the same old Hayovel Ministry. Nothing has changed. Righteous gentiles or crafty “witnessing” Christian missionaries? You decide. It is clear to me that Hayovel is comparable to Fatah, in the manner that Jews for Jesus is comparable to Hamas. The former are more dangerous, because unlike Hamas, our own camp thinks that we can make peace with them. It’s time to wake up. What we are seeing now is only the beginning. Future governments will surely reward evangelical missionaries by giving them the status of “righteous gentiles” and granting them citizenship as reward for their volunteerism. Some of the bolder ones from Hayovel will deceptively put themselves through false conversions to further infiltrate Jewish communities. And Am Yisrael will continue to bleed to death, a physical death from the Arabs, and a spiritual slaughter from the lethal blows of Christian missionaries, to the core of the Jewish neshama.